Earlier this month Team Vegan had an impressive showing in the Oxfam Trailwalker. 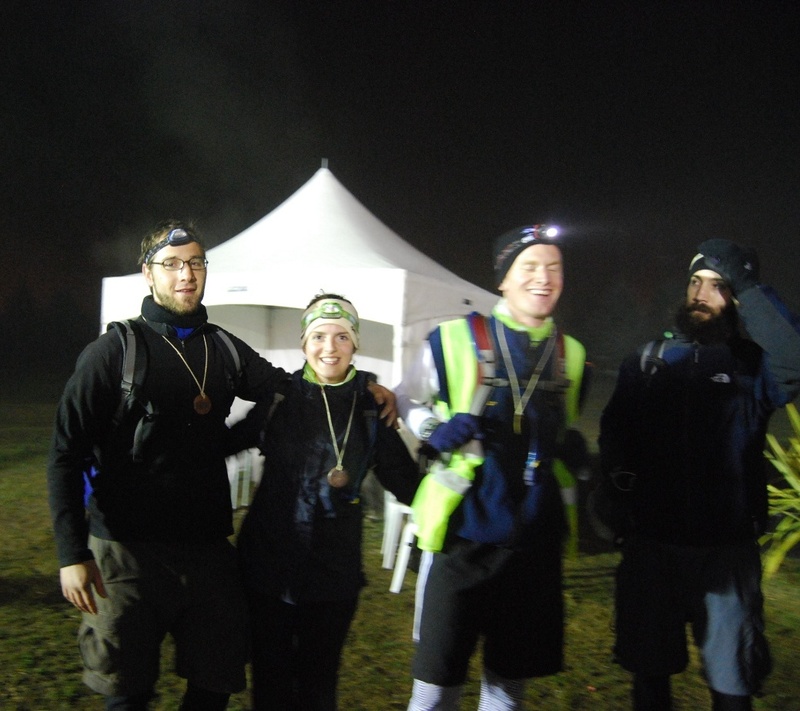 Our team of four walked 100km in 22 hours and 26 minutes – coming in 64th out of 265 teams. This photo shows our boundless elation at having finished such a mighty walking challenge. Not only did we give vegans everywhere a good name, we raised $3,320 for Oxfam New Zealand. Go Team Vegan! Over the Summer months, as well as writing a Masters thesis, I’ve been following the rather sad and brutal tale of Moko the bottlenose dophin. 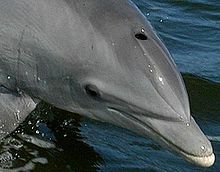 He is but one in a long succession of “lone” dolphins who have actively sought the company of humans around coastal New Zealand. Two of the better-known since European settlement are Pelorus Jack (in the early 1900s) and Opo (1955-6). A common denominator in both of these stories is unprovoked human aggression toward intelligent animals who sought and enjoyed human company. A passenger on the Penguin took a shot at Pelorus Jack (follow the link for the tale of the sad fate of that ship) and there was strong suspicion that Opo was killed (whether deliberately or inadvertently) by an explosive charge set off in the water. It’s been a quiet few weeks here at the Solution, but we have a few opinion pieces and articles in the pipeline. Where have we been? David and James have been frantically training, fundraising, and walking the Oxfam Trailwalker 2010. Last weekend, Team Vegan knocked off the 100km in 22 hours and 26 minutes – and, no, it’s not a relay. Team Vegan finished 64th out of 265 teams. Go Team Vegan! Vernon has been polishing off his thesis, coming up on the final weeks of his Master’s degree in law. Ed has been fighting the (mostly) good fight, buried in work at the Manukau District Court. Peter has spent six weeks back home in Canada. Regular transmisson will resume shortly. In the meantime – or any time – if you’re interested in writing a guest column for the blog, email us at contribute@thesolution.org.nz.